for $324,900 with 2 bedrooms and 2 full baths. 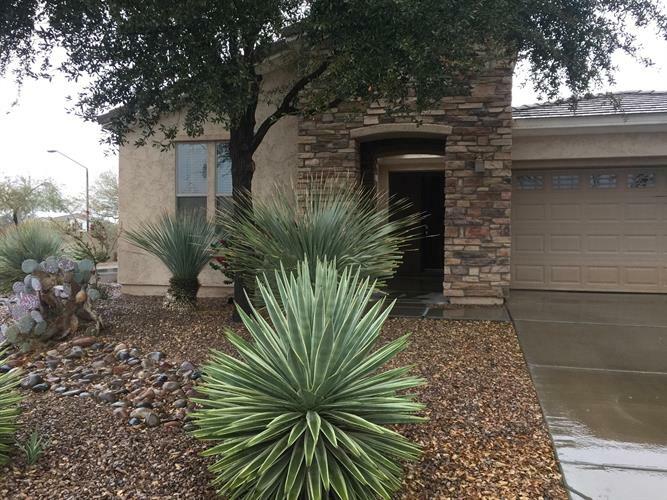 This 1,604 square foot home was built in 2005 on a lot size of 6219.00 Sqft. Beautiful Morningstar plan with tons of extras. Very open floorplan with wall of windows looking out to your landscaped yard surrounded by tall scrubs for privacy. Granite counters with Maple cabinets, stainless steel fridge, under counter lights and pendant lights for a bright kitchen. Fireplace in great room.Freshly painted interior and tile everywhere except bedrooms. Soft water loop and plumbing for RO drinking water. Garage service door also. Popular gated golf community with workout facilty, tennis, clubhouse with activities and a restaurant. Wonderful active adult community. Its the cream of the crop! Move in ready.